I love Valentine’s day and the romance that goes with it….and, yes, I love having chocolate this time of year too… but, my husband and I find healthy alternatives to commercial candy and this is what I’d like to show you today. Kelly Herring (brilliant chef) has done it again… In Carefree Candies, she has given us super easy recipes like our child-hood favorite candies that we can easily make at home. 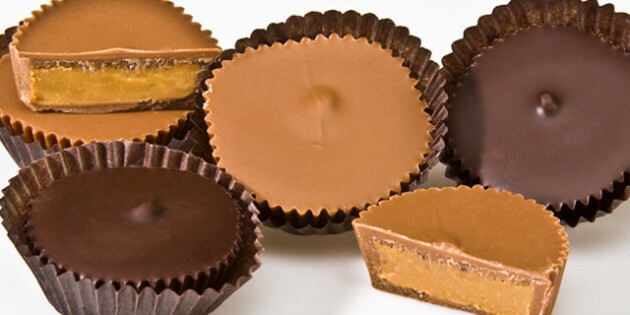 Scroll down to see the peanut butter cup recipe. Most of her recipes are so simple they are mostly heat, stir and pour. So don’t worry about spending hours making delicate candy recipes with thermometers etc. 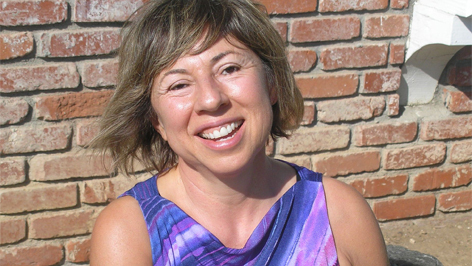 For a limited time, Kelly is offering my readers 2 special bonuses. Check out the page below. Come on. We can celebrate healthier than that. We know better than that too. Kelly tells me that thanks to a new breed of all-natural, zero-calorie, zero-glycemic sweeteners you can create a wide variety of low-or-no sugar treats for you and your sweetheart this year. Instead of boxed, sugar-laden, processed junk, why not whip up Dark Chocolate Bars with Candied Orange Peel… Coconut Almond Bark… Cinnamon Pecan Brittle… 5-Minute Peanut Butter Cups… Gingerbread Fudge… Kahlua Truffles… or just about any of your candy-shop favorites. You can create all of these sinfully delicious creations with wholesome, natural, low-glycemic ingredients. And you won’t believe how incredibly easy they are to make! You can find each one of these delicious recipes (plus dozens more!) in Carefree Candies – the world’s #1 resource for creating decadent treats that taste as good… as they are good for you! And listen, Carefree Candies is way more than “just” a recipe book. Instead, you’ll discover how to use “intelligent ingredients” to achieve the yummy taste and sweetness of sugar (without the dangerous health effects)… plus how to make sinfully delicious indulgences that actually protect – not ruin- your health! Care Free Candies<<=== Click here to grab your copy today. You’ll also receive Soda Fountain Favorites and Better Breakfasts… absolutely FREE!!! 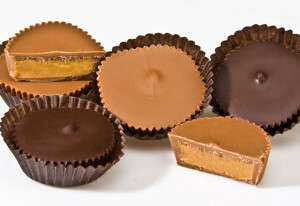 This is the “cheater’s version” of a peanut butter cup. These minis combine the nut butter with the chocolate for a quick stir-and-set treat. In a medium saucepan, combine cocoa powder, coconut oil, and nut butter over very low heat. Stir occasionally until mixture is completely liquefied. Remove from heat and stir in salt, vanilla (if using) and coconut sugar. Add stevia to taste. Pour mixture into silicone candy molds, silicone muffins cups, or paper mini muffin liners in a mini muffin pan. Transfer to freezer to set (about 15 minutes). 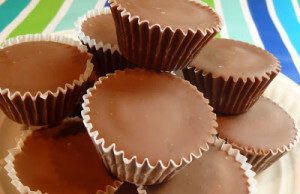 Pop the peanut butter cups out of silicone molds and (if any are left) Store in airtight container in freezer or refrigerator. *PALEO OPTION: Replace peanut butter with almond butter, cashew butter or macadamia nut butter. Carefree Candies is the answer <<=== click here to learn more.